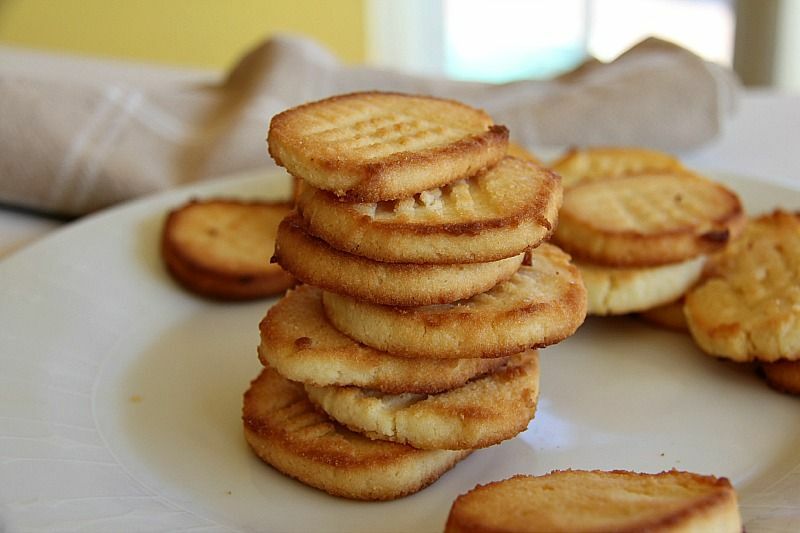 Cream cheese adds a lovely flavour and texture to these cream cheese cookies. 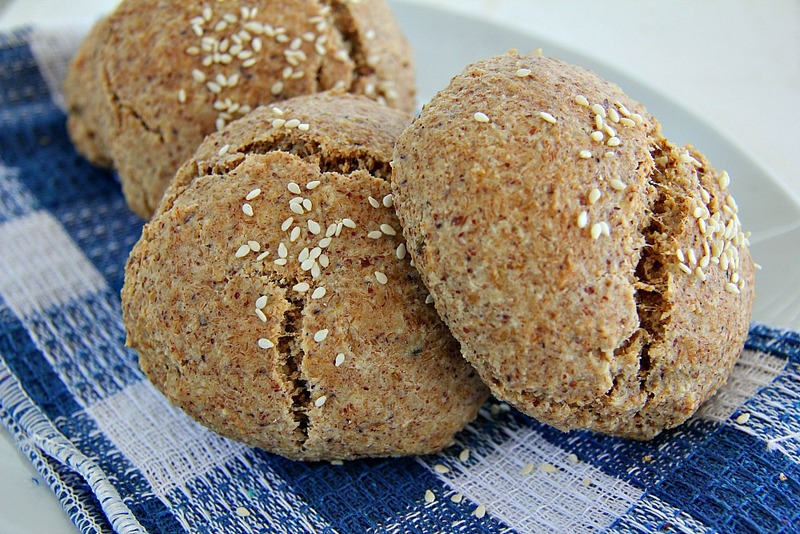 Baked with coconut flour they are low carb and gluten free too. These cream cheese cookies are soft and chewy but firm up the next day after stored in the fridge. I have a cheese biscuit recipe full of butter that is melt in your mouth deliciousness so thought about making a sweet version. The key to that recipe is the butter and cheese. So, with the sweet version, butter was in! To make it extra melt in your mouth, cream cheese was added! The mixture is very soft and gooey so needs to be rolled up and left to firm up in the fridge. Once firmed up, you just slice the dough and bake! Voila, a delicious batch of low carb cream cheese cookies. This cookie dough could be made in advance. Perhaps keep a roll of dough in the fridge for cookie emergencies! Although I kept this plain, I did have plans of dipping the cookies half in chocolate for decoration. I will confess that I ate the chocolate bar I had in the back of the cupboard. So, plain looking cookies it was! I will also confess that this happened twice. Proving that I cannot be trusted with chocolate in the cupboard. When you look at the photos imagine half of the cookie dipped in chocolate and you will know what I was going for! These cream cheese cookies would be delicious with an additional flavour. I think lemon or orange would be a great flavour choice. Even dipped with chocolate if you had any available in your cupboard. I hope that you have a play around with this recipe with flavours. Please let me know what you created! In a bowl, cream together the butter, cream cheese and erythritol (or sugar substitute of choice). Add the vanilla extra and egg. Beat until smooth. Add the coconut flour, baking powder and salt and beat until combined. The mixture will be sticky. Place the mixture onto a piece of wax paper (or parchment paper). Mould into a log shape, using the paper to roll out and wrap the paper around the dough and secure the ends like a Christmas cracker. Place in the fridge to firm up for at least an hour. Remove the dough from the fridge and cut into 1 cm slices. Place the slices on the baking tray. You might need to add an egg to make the mixture more soft. I’m new to low carb baking so I followed the recipe to a T and then tasted the dough…(always the test of any cookie I bake. Tasty dough always equals a tasty cookie) It tasted like high carb gluten filled goodness and I knew I’d found a winner! 1) put the dough in the fridge overnight because I made the dough after dinner and didn’t have time to bake them last night. 2) I baked these for 10 min at 350° then turn off my oven and left them for five more (our oven is weird, extra hot in the back but not the front), then cool them ten minutes on the cookie sheet before transferring them to a rack. Straight out of the oven they taste like coconut sugar cookies. To all the people saying these are too sweet I’m guessing you’ve been on a keto diet for a while because to me these are perfect as they are! I’ve tried several other keto cookie recipes and have been SO disappointed, these are so quick and easy to whip up and are so worth the wait for the dough to chill. Can’t wait to try more of your recipes! Thank you so much for your lovely comments! Glad you enjoyed the cookies. This recipe is great as a cookie base for you to play around with too. What would you as a substitute for the egg? Sour cream? Chia seeds? Flax? Sour cream would be the best option. How can you change the recipe to use stevia? Mine came out flat like flatter than a pancake. The only thing I did different was use almond flour instead of coconut flour because our stores didn’t have coconut flour. It may have been the quantity of the almond flour to make them so flat. You can’t substitute almond flour for coconut flour one-for-one. 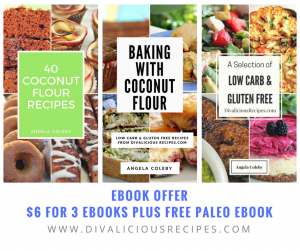 Coconut flour is much drier and much more absorbent. Easy recipe, so I doubled it and still have half rolled in the fridge…but my family finds them too sweet. What would you recommend I use the dough for, adding something that would offset the sweet cookie? Was thinking maybe keto cheesecake base, or the top of an unsweetened fruit and nut pie? I’ll make thses again, but cut the sweet in half. If I can get my son to eat them, it’s a win! I’ve used this recipe as a cheesecake base. I bake a large cookie, let it cool then add the cheesecake! Love the idea of pecans on top! yummy! Tried with orange extract and dark chocolate drizzle… was fantastic thanks for sharing! ooh – that sounds delicious! Will try that myself! 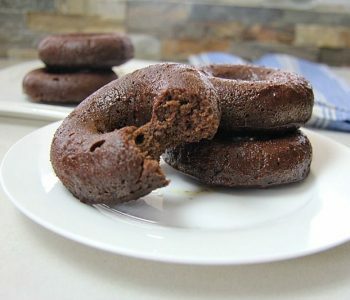 These are by far the best low carb coffee that I’ve made so far, love them and will definitely make them again, thanks for sharing the recipe. Huzzah! Glad you enjoyed them! These came out AMAZING! I initially followed recipe to the T, all but sweetener. I am new to Keto and did not have any substitute. Searched high and low in the pantry I found Agave Honey sweetener. Although I was hesitant to use, given the carb content, I put a teaspoon in. Then, I thought…. what about adding strawberries. I added 4 puréed fresh strawberries. Best decision ever. I am one week in and was so thankful to find a dessert recipe with the majority of ingredients on hand. Glad they turned out well! Happy baking! These cream cheese cookies came out great! Tasty and creamy, and although soft, they did not crumble! However, my (sweet) taste buds must have changed because they came out super sweet. Like super strong sweet. I use stevia and erythritol all the time so I’m used to the taste sweeteners, but I would have to say that I would definitely cut the erythritol by at least 1/4 less of the amount listed. My girls who love everything Keto even said it was way too sweet. (We may be weird like that, I don’t know. Lol!) I loved the creamy, coconut taste, though! I would definitely make this again with less sweetener. Mine came out like mini cakes and crumbly. What did I do wrong? I added the juice and zest of 2 lemons. Delicious!!! I add the juice and zest of 2 lemons. Delicious!!!! Given where we live its hard to get all the ingredients for many of these recipes so I end up changing them slightly quite often. I am unable to get coconut flour so I used almond meal and the only artificial sweetener that I can get here are the pink packets of sweet and low. We don’t like things as sweat so I kept the levels all the same except for the sweetener. I put in about 1/8 cup and that was just about right for us. They came out nice and soft and are pretty tasty. Being that I’m unable to access these ingredients and I’m preggo and I need these right now! Could I substitute with regular flour and sugar? Yes you could. You will need to add more flour. Congratulations too! These look great! One question, could I use liquid sweetener instead of erithrytrol? I’m waiting for mine in the mail but I’m impatient! I’ve not tried that, but in theory you should be able to. Perhaps add the sweetener in small quantities until you get the mixture to a decent consistency. I made these and only used 1/2 cup of stevia and then drizzled with melted-half unsweetened chocolate and half 60% cacao chips. They turned out awesome! Hi! Could I use stevia packets for sweetener? I don’t like the flavor of it in my coffee but was wondering if the flavor would be less pronounced in these. Those packets aren’t really for baking with. 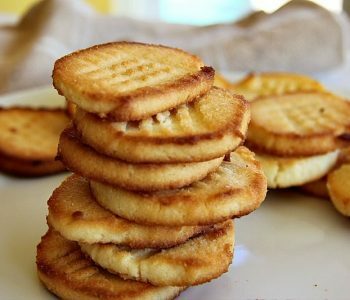 I made these exactly as the recipe says (using Swerve as my sweetener), and although they were delicious, the texture was off. 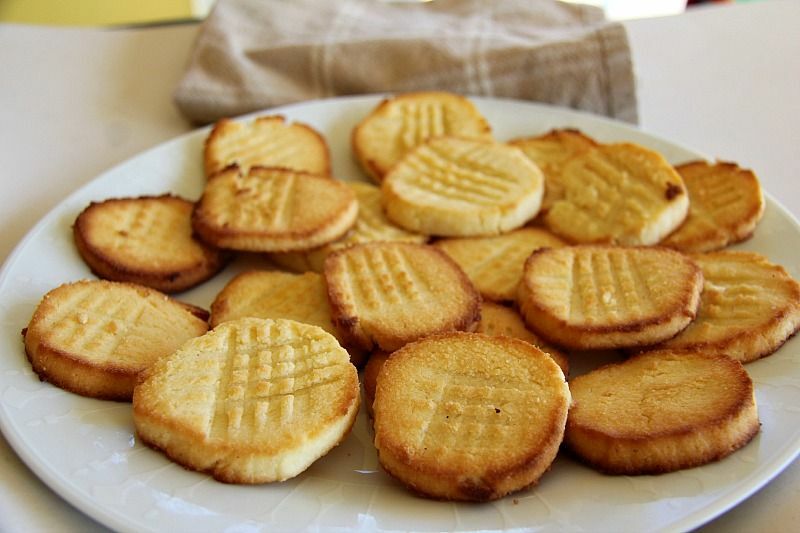 They turned out almost cake or shortbread like and crumbled very easily. Any ideas as to how to fix this? Thanks! It might be the Swerve as I use erythritol. What brand of coconut flour did you use, as that can change the results too. Great cookies! I’ve tried many others recipes but none that actually taste good. Although there was this like a -mint like feeling to every bite. I had never tried eythritol before, is that normal? Yes, it can have a slight minty taste! Recipe turned out great….except for the taste. If I make them again I would add lemon juice or chocolate or something. What about a butter extract or more vanilla? I’d add lemon. I always bake with a good quality butter which yields better results. I added lemon zest in one batch and chocolate chips (truvia sweetened) to another they were both awesome!!!! LOL! I always wonder whether people read the narrative with the recipe (Google demands that we have to write something!). Happy to have made you laugh! These are absolutely yummy! I added a few fresh strawberries & cool whip on top and it’s like shortcake! Only question: how should these be stored? Fridge or countertop? Good call on the strawberries!! I keep mine in the fridge. They will harden the next day with this too. I gave up using artificial sweeteners several years ago. Now, many, if not all, low to no carb recipes are asking for sugar substitutes. What is the healthiest/ safest replacement for sugar when baking/ cooking low to no carb? Thanks to any and all for the suggestions! My wife and I are new to this, trying to lose weight and feel physically better- any help is appreciated! I use erythritol or xylitol but this is a helpful guide. 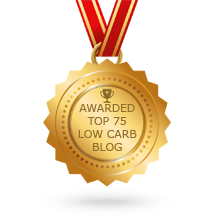 https://www.ditchthecarbs.com/low-carb-sweeteners/. Happy baking! Please please note that xylitol is extremely toxic to dogs. If you like to share a bite of your food with your furry friend — use a different sweetener! I’m trying to just avoid sweet stuff, but it is holiday season and a girl’s gotta have some sweets. Is there an artificial sweetener that is not bad for you and does not have an after taste? I’m not doing Keto, just low carb/high protein/low sugar. As well as being very aware of the dangers of Xylitol to dogs, I NEVER give my dogs any food from my plate or “human food”. That develops bad eating patterns. Mine are very spoilt with home made dog food and even home made dog treat! Try Monkfruit or Erythritol or there are a few versions with a blend of these two which does not have any after taste. You can also use Allulose or D-psicose which is an epimer of fructose. It is a naturally occurring, rare sugar found in dates, raisins and wheat, but has a 0 glycemic index. Tastes like regular sugar, but only 70% as sweet. It has been clinically tested as safe for diabetics, and anecdotally, I can confirm that. I use it as a replacement in cheesecakes and when making my own chocolate. It also does not have an aftertaste, and since it’s not a sugar alcohol, it doesn’t give you that cooling sensation on the tongue. It browns like regular table sugar (I’ve made caramel sauce and spun sugar from it), and bakes like regular sugar. I do not know if it is toxic to dogs, but like Angela, we don’t feed our dogs human food. Good flavor- Why do these burn so easily? Ovens vary as I have discovered with our many moves over the last few years. Try another shelf in the oven. My current oven top shelf cooks fine, but a bit long. If I put anything on the bottom shelf, the bottom of what I am baking burns. I hate our current oven…. Are these cookies soft/moist or can they be made to turn out that way? The are soft and chewy. awesome, I will have to try them thanks! I’ve made this a few times. When I don’t have time for an hour in the fridge I just pop into the freezer until firm. I’ve added some pecan pieces which is great – almonds, walnuts, etc would be fine too I’m sure. I flip halfway through cooking since they tend to only brown on bottom. Adding extra cook time doesn’t hurt anything either. I must be making them small because I usually get about 30 cookies from a 1.5″ diameter log. I love the use of nuts! Great idea! Wow, great reciepe. I started Keto diet about 7 days ago. Not a fan of meat or cheese makes the diet challenging. I wonder if you could add no sugar blueberry jam on it and still keep in Keto. Thank you for sharing. I will go through your site and see if I can find your favorite reciepes. Welcome! And yes you could add the jam. Perhaps try some chia jam too? mine turned out like a shortbreak texture and they were really soft and not cookie like to be honest, BUT still delicious! I just wanna know if thats normal? or if i did something wrong! It sounds like you could have done with a bit more coconut flour. They are normally a bit soft and will harden the next day. As long as they tasted good I’m happy! can i add sugar free chocolate chips to this ? Made two versions of this today one with just coconut extract instead of the vanilla and the second batch I started to do as a pinwheel type cookie and roll the goodness in side and then slice and bake but the dough was still to soft even just out of the fridge, but I took coconut unsweetened, almonds, and cashews and blitzed them into dust and rolled the cookies into the mix then rolled in my palms to press into the dough— traditional cris cross with a fork and some sugar— these cookies were amazing! Thank u for the start of Lots of fun!! Hmm how bout a little pb2 frosting between two??? Genius idea! I drooled over the keyboard at that suggestion! I’m not a lover of coconut so any way these can be made with other flours? Hi, yes they can although you will need about 3/4 cup of almond flour. So mine spread so thin and flat. Will have to try again. Thinking I need to add more flour if that was the result? That’s at shame. Perhaps roll it out a bit more thicker? 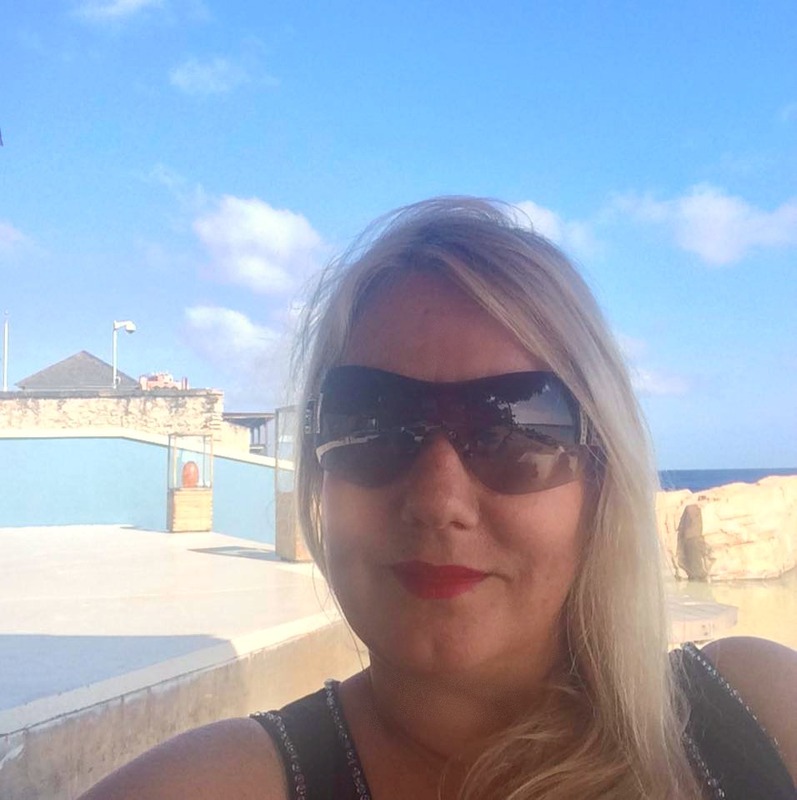 Sooo… keto has pretty much saved my life. But I am a sugar CRAZY person. I have died a thousand deaths missing sugar, even as my energy and weight and everything have drastically improved. 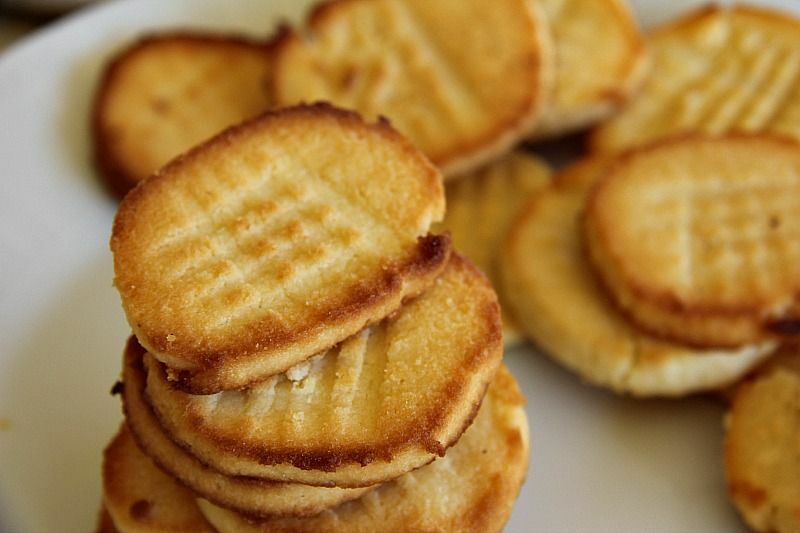 Your cookies are, hands down, THE BEST DANG ONES on the internet – and I have tried so many. Dough tastes just like freaking cheesecake. OMG. I added a touch of honey and a squirt of stevia since I did not have the sweetener in the recipe on hand and I AM SO HAPPY I COULD CRY. BEST, EVER. To everyone with criticisms, um… make your own recipe. Awh, Molly, you’ve made my day with your lovely comments! Thank you! Could I use the stevia drops for this? Any idea how many?! Thanks! I’m excited to try this recipe! You could and I’d say about 2-3 drops. However, I would advice that you taste the mixture as adding the drops to adjust to your preferred sweetness. Really liked these . 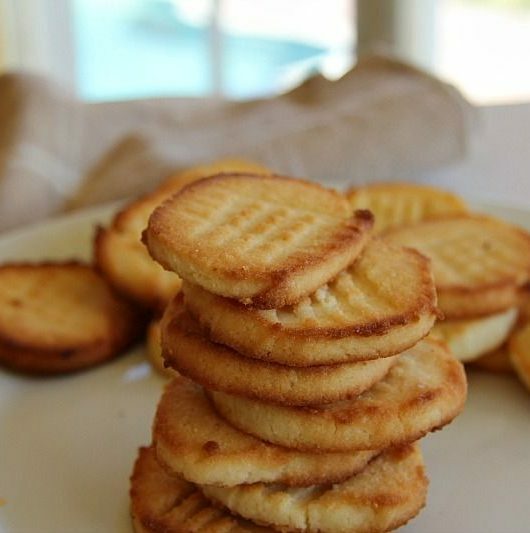 since on low carb i’ve baked so many biscuits as I struggle with the snacking side, these are keeper ! Very tasty thank you . 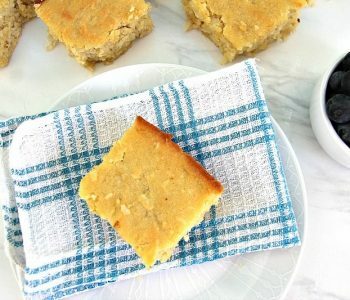 Can almond flour be used instead of coconut?? Yes it can, but you’d need to change the quantity. I’d try 1/2 cup and add any more if the dough was too sticky. I made these today and added a few drops of lemon essential oil. The taste is great, but they are not soft at all, they are quite hard. My dough was not sticky, but I used Stevia so maybe that’s what happened. I’m going to try again though because they were super easy and fun! Perhaps add another egg? Lemon would be a great flavour for these! Glad you enjoyed them though. The ones I made, following the recipe exactly, are very soft and are still soft several days later. How much stevia did you put in pls? I made the batter last night to pop these in the oven this morning, and thought, like you, lemon. Mhmmmmm. Next time. They are cooking now and smell divine! Soon, very soon. BTW, I couldn’t resist eating some dough. YUM! Joni, did your xylitol remain grainy and whole in the batter after adding the egg and vanilla? I cannot get the batter to smooth out. Hi, I have a question, I used the gram measurement for cream cheese which on the scale I’m using was actually 5 tablespoons. My dough is not sticky at all it’s quite grainy. I’ve rolled it up to put it in the fridge but I’m worried it’s not going to cook right due to the texture. I followed the recipe exactly except for more cream cheese than the “3” tablespoons but I did use 60g. Sorry very confusing. Please let me know, thanks in advance. The dough should be sticky so there’s something amiss here. Hi again, I watched the video you have of making the cookies and visually it looks like the cream cheese was actually 3oz like almost half a block? Is that the case. Because if so then it’s about double what I used with the tbsp and would explain why mine had no moisture. Thanks again! It could be. If it doubt, especially with coconut flour, add more moisture to the mixture if you think it’s too dry. I’ve got another cream cheese biscuit recipe coming soon that you may enjoy so stay tuned! I feel like you have too much “fake sugar” in this – usually any recipe that encourages a sweetener I use out but 1/2 cup is quite a lot….. why is it necessary to fuel our bodies with a substitute for sugar??? Adjust to your own taste. Soooo good! I added 2 tbsp Hersheys dark cocoa powder and 1 or so tbsps of water as the cocoa made the dough a bit stiffer. They were delish, tasted like little chocolate cheesecakes. Thanks for the great recipe. Sounds a good idea! I tried with cocoa powder but think I added too much. Will try it again! Can I freeze the dough? I want to bake the cookies 2 days from now. Just made these and the flavor is ok, lemon zest will be added to the next ones, but the dough seemed to come out very grainy and the cookies fell apart once out of the oven. Any idea why? I have the same issue. I made the dough following the specifications except by my scale 60g of cream cheese was actually 5tbsp not 3 and it wasn’t not sticky in the least. More grainy and then when I baked the cookies after letting the dough sit for a little over an hour in the refrigerator the cookies came out crazy dry. Like dessert sand in your mouth dry, and then they fell apart. I do not know what happened other than def not enough wet ingredients. I also didn’t use the same sweetener. I used powdered stevia. Not sure if that matters. It sounds like your problem was the sweetener. Do these have to go in the fridge to harden or can you put them on a cookie sheet right afterwards and go? I prefer to let them firm up first as they can be sticky to handle but a few people have baked them without doing this. 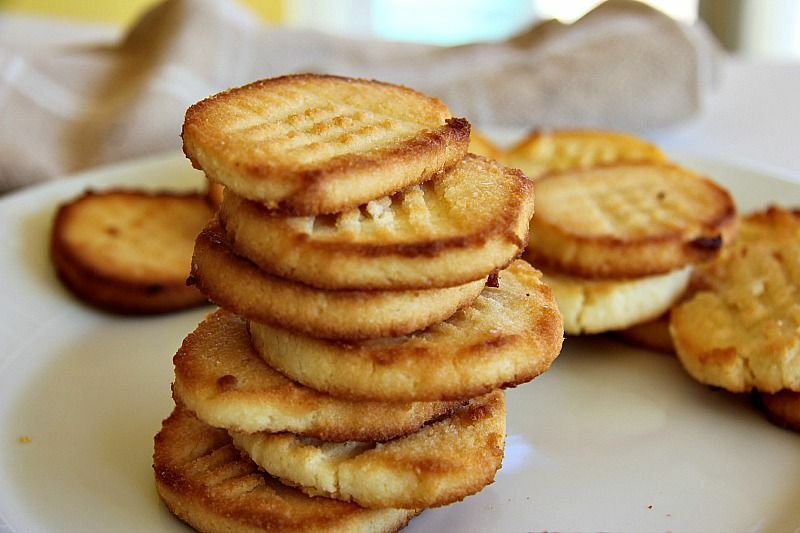 When I input this recipe in myfitnesspal, it comes out to like 12 carbs per cookie, maybe due to the coconut flour? How are you getting 1 net carb? I use a nutritional database. There’s no way it’s 12 carbs a cookie! There’s a recipe with almond flour that is 2g net carb a cookie. maybe you are counting total carbs, instead of net carbs? To get net carbs, you subtract the fiber from the carb total, because fiber does not digest in a way that impacts your blood sugar. I would like to know as well. I also got a higher net carb count after inputting the ingredients, using NOW FOODS organic erythritol. Please let me know what is different, these look too good and I want to try some!! The carb count is correct (check a few other cream cheese cookie recipes with almond flour, much the same carbs). When you use erythritol you don’t count the carbs as they are not absorbed by the body. Erythritol is a sugar alcohol which is indigestible by humans. Since we don’t have the necessary enzyme, it is passed through the body without the negative effects of sugar. Most of it is actually released unaltered through our urine! It has a glycemic index of 0 (meaning it does not spike blood sugar) and it’s not metabolized by oral bacteria so it doesn’t cause tooth decay. It is, effectively, 0 net carbs. Hello Angela! How long these cookies stay good? And I keep all the time in the fridge? Thanks! Morning! They are good for about 3 to 4 days kept in the fridge. They will start to harden too, so each day gets a little more crunch to the bite! Hope you enjoy them! Thanks for the reply! I made it today and they are delicious! Great recipe! Glad you enjoyed it! I’ve used this as a cheesecake base too. Very delicious! I don’t know what happened. I substituted almond flour for the coconut flour and ended up with a big soupy mess on my cookie sheet. I rechecked my ingredients and details, and otherwise followed the recipe. Do you have any ideas what may have happened?? Hi, you would have had to increase the amount of almond flour as it cannot be substituted equally since they have different densities. Thanks, I will try again!! Yum! I made these and put a little less than 1/2 c swerve as my sweetener, and did 50/50 coconut and almond flour. I also added a splash of almond extract in addition to the vanilla and I chopped up about 4 squares of a 90% chocolate bar and put it in the dough. They are delicious! I love the idea of chocolate in them! Think I need another play with recipe as yours sounds divine. Glad you enjoyed them!! For some reason I was thinking these might taste like butter cookies so I considered adding almond extract. Read it all today and do you think lemon would be better?? Or what about sugar free chocolate chips? Yes, yes and yes! 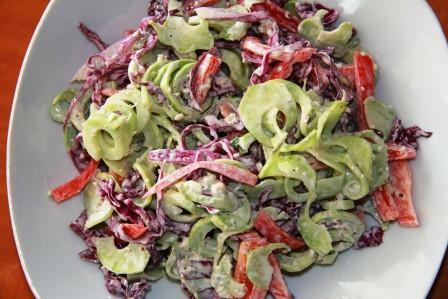 The beauty of this recipe is that it is very adaptable. I made the “plain” version but when munching these thought that lemon would be delicious. I like your idea of almond extract too. Why not split the dough into 3 and try a bit of each flavouring? Let me know which one is your favourite! If another sweetener is used (stevia), how do you know how much to use? And can I use the powdered packets? How many? Has anyone tried to add protein powder to these? If I wanted to, what would you suggest I replace it with? Love them!!! They’ve been a godsend during my keto dieting. I added a splash of lemon juice to mine and used Stevia Sweetener. They we’re delicious. Melissa, did you use liquid stevia or the powdered? I just made these. I used 2/3 granulated Erythritol and 1/3 granulated Erythritol + Stevia blend (Trim Healthy Mama super sweet). (Note: not 2/3 cups, just 2/3 of the recipe amount). Rolled into logs, refrigerated overnight. They are perfectly sweet, not bitter, and I am very sensitive to bitter. Very good, very easy recipe. Yah! Glad you like them. 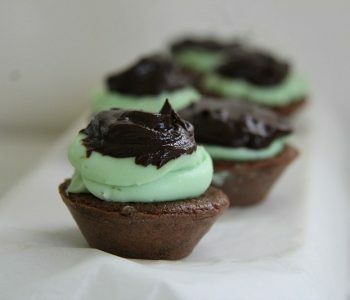 They are my most popular recipe at the moment. I made these yesterday and they had a very strong taste of the sweetener. I used Pyure because it’s not supposed to be bitter like straight Erythrotol. Do you think the texture would be OK if I cut the amount of sweetener by a fourth? Otherwise, we really like these cookies. They have a nice texture and they taste beter on day two. I think they would be great with lemon extract and a little lemon zest instead of vanilla. I’m going to try that next time. Thanks for sharing this recipe! Totally agree with you on the lemon. This is a cookie that screams for it! Cutting down the sweetener would be fine too. Glad you liked the cookies! I’ve personally found that it’s best to use half erythritol and half splenda. It always gives me the least aftertaste. Wish I wouldn’t have added salt— but otherwise they’re pretty tasty! Thanks for this recipe. I used it as a base for fruit pizza. It was loved by my whole family. Definitely the best dessert I’ve made since becoming sugar free. That’s lovely to hear and what a great idea too! I have the same trouble with my chocolate bars! Haha These look delicious! Happy to know it’s not just me!! Can regular sugar be used? Yes you can. You may want to increase the volume of the flour though. Add it bit by bit until you are happy the the dough. Do you have a suggestion if I wanted to use something like Coconut palm sugar, how much I would use?? Also how will we know when we’re “happy with the dough”? Just that it is sticky and not liquidy, or what would you suggest?? As the sugar can be a bit sweeter, I would guess to use the same amount as the recipe BUT remove about 2 tablespoons of the sugar. The dough should be sticky. Have a look at the video for an idea of the dough consistency. One tip with handling the dough is keep your hands wet. I find it easier but it might just be me! Hi Angela, are these crispy or soft? 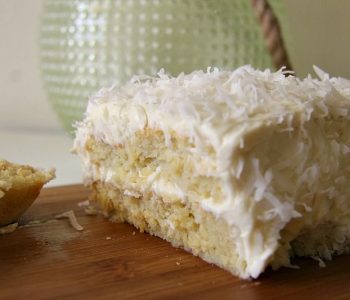 I tend to think that coconut flour makes things more cakey than crispy, whereas almond flour makes it more crispy. Hi, they are soft but harden the next day once in the fridge. I can’t see any reason why you could not use almond flour instead though.